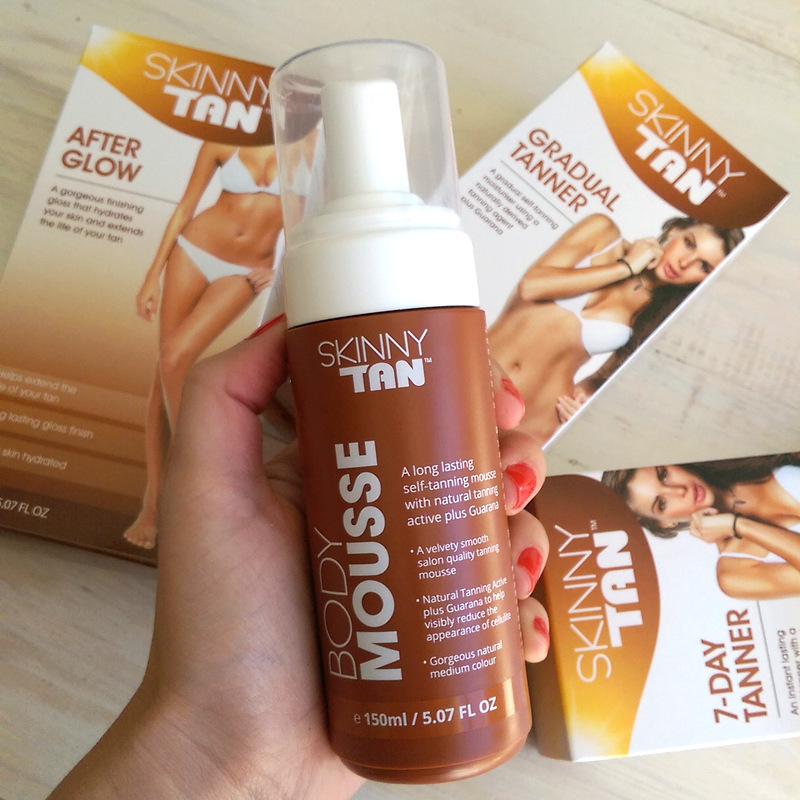 A while back I reviewed Skinny Tan’s 7-Day tanner and really liked it so I didn’t hesitate on the chance to review their new mousse. Generally, mousses glide on nice and easy and, due to their liquid nature, tend to give you a better colour pay off than a cream-based self-tan. Along with the mousse, I was given a Skinny Tan mitt to apply it with and it made application a breeze. I can’t stress enough how much better it is to apply your self-tan with a mitt, be it a cream, mousse or gel. It makes it super easy to glide around your body, buff out any bits where you want a lighter result (ankles, knees and elbows, I’m looking at you!) and prevent the palms of your hands from getting stained. If you use self-tan regularly but don’t own a mitt, girl, you need to make a plan! Anyway, as the mousse has a colour guide to it, it’s easy to see where your colour’s going, but bear in mind that if you don’t work fast the guide can make a tide mark. Fortunately, this is the guide itself that can stick around if you don’t work swiftly and not the actually product itself. So, if you’re done and noticing any unevenness, don’t stress. This’ll wash off when you hit the shower, I promise. 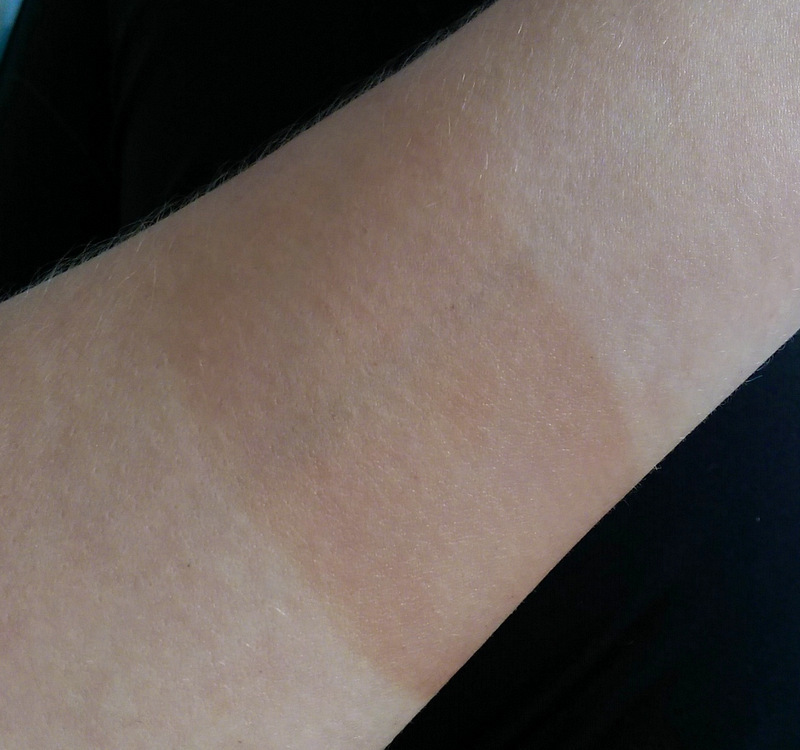 I always do a patch test before going big and Skinny Tan mousse passed with flying colours. I used the mousse in the evening and was feeling brave so I decided to apply it to my face too. Again, I used the mitt, folding it up to create a smaller surface area with a ‘point’ that could get into the corners of my eyes. While it’s got a soft, pretty scent, it wasn’t over powering or sickly in the least. Also, as the colour develops, it doesn’t have a weird biscuit-y smell in the least. Can we get a yay?! This is me pre-tan in all my pale girl glory. The next morning when I got out of the shower I was thrilled to discover that my tan was wondrously even and very natural looking. There were literally no areas I had to ‘fix’ using an exfoliator! I also liked that it lasted a good five days before I felt the need to reapply and faded in a way that was natural, with one good soak in the tub and a quick rub using a towel – not even an exfoliator – took off the very last of it. In short, this is a two thumbs up product you’ll want to try so pick it in store OR, if you’re feeling lucky, enter my Skinny Tan giveaway! I’ve got five hampers worth R500 to give away and entering is easy. To stand a chance to win, simply leave a comment below telling me which berries Skinny Tan uses to draw its caffiene. Another way to enter? Hit me up on twitter with ‘Hey @lipglossgirl, I’d love to win a @SkinnyTanSA hamper’ and be sure to include the link to this post. This competition closes at 5pm on 16 September 2016 and is only open to South African residents. A random number generator is going to decide your fate and the winner will be announced shortly after the competition closes. This competition is now closed. A big congrats to Biance Aucamp, Carlyn le Maitre, Cornell Botha, Charmaine du Preez and Cheryl Johnstone on each winning a Skinny Tan hamper worth R500. I would love to win this hamper to get rid of the pale looking skin I currently have. OH EM GEE! this is an awesome Giveaway! I would give my pinky toe to win this lol 🙂 I really struggle to tan in the sun so ive always been using self tanners and I really struggle to find one that works perfectly with my skin, and this one seems Awesome and looks so good on you! Hi Leigh 😊 I would really like to win one of the hampers as I have a sensitivty to caffeine when drunk (so no coffee for me 😕), but I am sure that gurana berries applied externally would work wonderfully. Thanks for another great post! Heres to tanned skin without sun damage! Guarana berries. What a kickass competition, would love to win this as I glow in the dark currently and sadly I just don’t tan, I go bright red, peel and become lighter. I think one day I may just become invisible. PLEASE Pick this vampire to get her glow the healthy way!!! Hehe.. Plus my boyfriend’s super pale skin needs this asap! I stopped using tan products because the smell was just off putting.. Would really love to get our glow on for summer! Oooh I need this…my melatonin production is out of order. Answer: The caffeine is derived from guarana berries. The answer is guarana berries. Oooh! Let’s not be pale for Rocking the Daisies! Gaurana berries! Yes! Nailed it!! guarana berries…… Love love your product…. its my everyweek go to…. Wow you look stunning with the tan!! I seriously need this my skin is vampire pale! Answer is from guarana berries and holding thumbs! Skinny Tan uses guarana berries!!! I’d love to win this, to make milky-white me a bronzy-babe!! Guarana berries is the answer!! Great review! ” guarana berries” – need this I am so pale. Thanks for the Blog Leigh… Always nice to know a product has been tried and tested before buying it…. Especially a self tan!! Love that it doesn’t make you look like an Orange Oompa-Loompa…..lol. And its Guarana berries. Would love the hamper!! Would love to win this hamper! Crossing my fingers while giving Skinny Tan 2 thumbs up. The answer is guarana berries!! **** Guarana berries ******* Cant wait for summer, and Skinny Tan makes it even more exciting. I have been using Skinny Tan for quite a while. I used the gradual tanner and 7 day tanner. My fiance used the Ab Shader. It is honestly THE best self-tan I have used ever! I have used a few! I had no idea they have a mousse now?? So I take it, it works the same as the 7 day tanner? One application only needed and then lasts 7 days? It’s Guarana Berries!! Would live to try this one, I am a fake tan fanatic – It’s the only way to tan i rate! I need this in my life. Guarana berries for the win! How I would love to win this hamper. I’m very impressed with the before and after picture and being a pale skin gal myself (50 Shades of White and all) I would love to get my hands on this prize! The berries used as guarana berries 🙂 Would love to win this product! The only way my legs are seeing the light of day, is if everybody around me are going to wear welding helmets. Or if I can get my hands on this lifesaving product with those magical Guarana berries…. Oh how I would love a tan without having to lie in the sun for hours on end! Guarana Berries! Guarana berries. Went to dischem to get skinny tan to try it out today and there was no pricing on any of the products; frustrating. Also where do you get a mit? Thanks! I need this in my life! Loved your review and tips to apply with a mitt. I am so scared with self tan as I always – ALWAYS go “jersey shore” orange. guarana berries. went to dischem to try skinny tan but none of the products had pricing! frustrating. Where do we get the mit from? Awesome! I would love love love to give SkinnyTan a try! Guarana berries! Gosh my lily whites need this stuff! Oh Wow I eould love to try it and use it for my wedding in November. I hate tanning and try anyting to preserve my youth. The answer is Guarana Berries! Guarana berries – can’t wait to show of my skinny tan at my cousins wedding!!! Please please please pick me! I am hoping that the Skinny Tan will miraculously eradicate my muffin top so that I look more beach ready! Even if it’s not that miraculous, a brown muffin always looks better than a lily white one! The caffeine Is sourced from guarana berries. Guarana berries! Let’s get tanned. Gaurana Berries 😁 Tan looks absolutely fab on you!! Aah I am a porridge brain! I forgot to add that they use guarana berries!!! Sorry Leigh! I have also used skinny tan before…..really awesome product…..and the answer is Guarana berries. GUARANA BERRIES!!!! Been following this product since dragons den, all tan products normally look very orange on my snow white skin, but this looks great, will give it a go. GUARANA BERRIES – LOVE LOVE LOVE IT!!! Guarana berries. The product sounds amazing!! I hAve used Skinny Tan for just under a year and can’t believe I got through life without it. 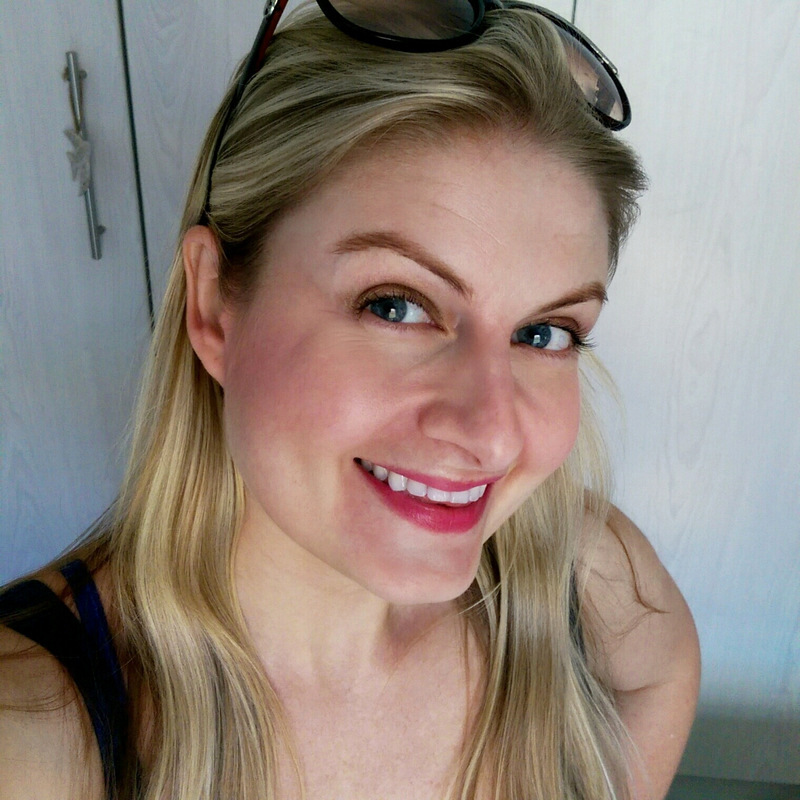 I have a fairly pale and stubborn skin that either doesn’t react to the sun or becomes lobster! However Skinny Tan has made me look like a goddess! My confidence had peaked and allowed me to feel comfortable in my own skin! This hamper will aI’d me to feel that way for longer! Guarana Berries. My “only_tan_is_a_fake_tan_freckled_and_fabulous” skin will love this!!! Guarana berries!! I just used another Tanning product and im not happy with the results, still trying to get rid of the patched. Used so many product before and Definitely need something that will finally work. Would love to try this amazing product seeing that I am also fair. I would absolutely love to try this product. I have just recovered from breast cancer and can’t imagine lying in the sun to get some colour on my skin ! 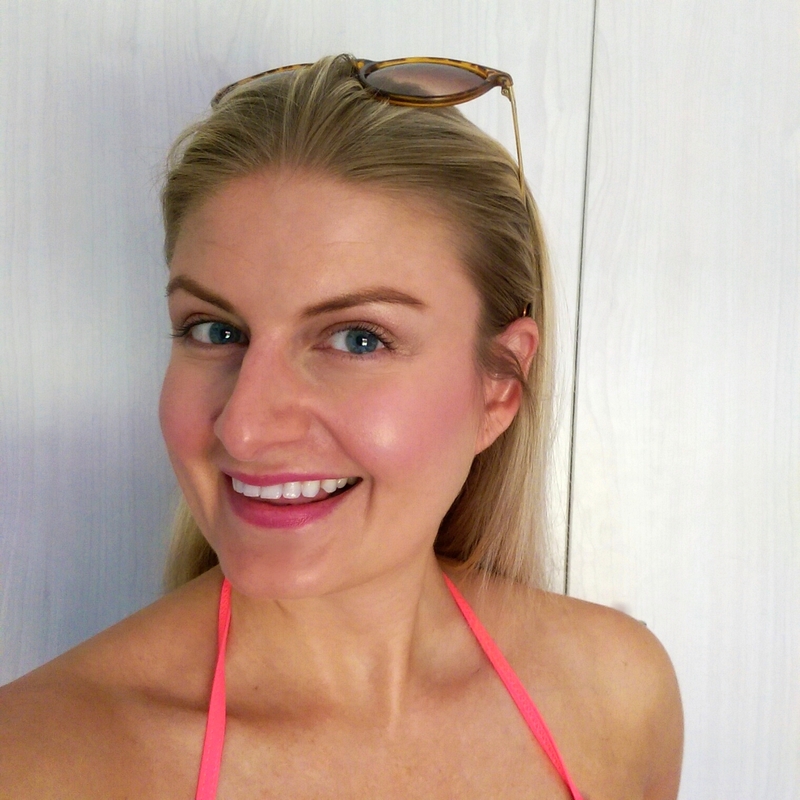 I have been battling to tan my whole life as I have freckles, and have literally tried every tan on the market so that my freckles don’t go darker. I have to stay out of the sun. I have had those embarassing streaky moments and orange palms in the early days, been through it all with tanning. Thursday night is tan night in my house! Nothing makes you feel better than a beautiful tanned glow. Would LOVE 💓 this comp and try out a new product! I need to try a new self tanner with impressive results, summer is coming! GUARANTEE berries!!!!! roll on summer …and “summer tan”!!!!! GUARANA berries!!!!! roll on summer … and “summer tan”!!!!! Guarana berries!! Can only dream how divine it smells!! 🙂 Skinny Tan all the way! Please can have this so I can be lekker bruin on my wedding day asseblief skat 🙂 the answer is guarana berries! I really need to win this hamper please pick me (“,) guarana berries!! Guarana berries! 👍👙🌴Getting ready for summer! Yah for no streaks or yellow/orange skin. Can’t wait to try it! Guarana berries are used! I would love to win this hamper so that I can look golden brown goddes like for rocking the daisies! I love your blog. It’s so real, down to earth and I love that you aren’t afraid to give your opinion, be it good or bad! Guarana berries 😊 Please please pretty please!! Guarana berries. I’m in need of a tan I look so pale at the moment bleh. What an awesome spring prize. Spring is my favourite time of the year… it means Christmas is coming!!! You are an amazing writer and your tone in your articles is sooo inviting and the wording is captivating too… inspirational. I love your blog and will definately be subscribing. The answer is guarana berries. These berries are also an awesome drink in Brazil btw! I would love this prize to start my tan for summer and not have to use the harmful sun beds that cost an arm and a leg! Would love to give this a try! Thanks for the article! Guaranaberries. Awesome competition. Would be perfect for summer. Love the outdoors but don’t like to spend hours in the sun to suntan.